Obesity. It’s a battle that 3 in 5 Aussies face and fight with blood, sweat and outdoor activity. Combat Australia’s ever-growing waistline by swimming for weight loss in your very own backyard pool. Aussies are overweight, and we are getting larger. But with many of us leading sedentary lifestyles and working a desk job, getting an adequate amount of exercise is harder than you might have thought. If you too are battling the bulge, or maybe you simply want to enhance your health and vitality, you need not look further than your backyard! A backyard pool is the perfect tool to achieve healthy, effective weight loss and to keep it off for good. Your very own blue lagoon can help you melt away unwanted body fat, lose weight and have fun with your family. 8 Ways to Fight the Flab in Your Backyard Pool. The numbers are in, and you might think they are too good to be true. But believe it or not, swimming is a sure fire way to burn, burn, burn those calories. 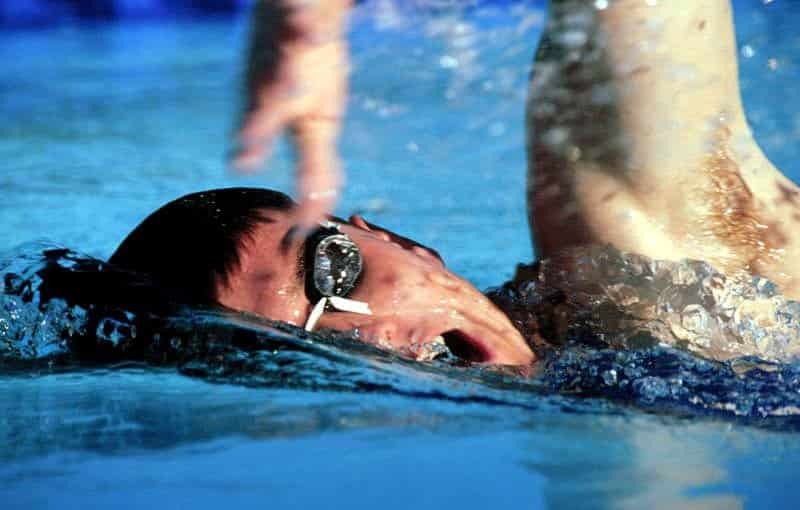 Freestyle or butterfly, no matter your stroke, in just one hour of swimming you can burn up to 500 calories! Pick up the pace as you pump up your heart rate to torch up to 700 of those nasty KJ’s. Swimming is a full-body activity so it requires you to use multiple muscle groups in your body. 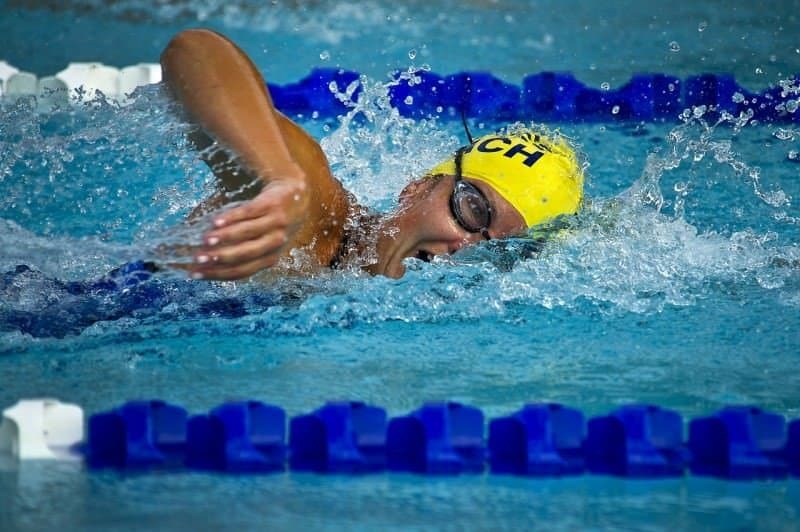 But what you might not have realised is that the weight of the water resisting against your muscles makes swimming a form of full-body resistance training. Resistance training will help you build lean muscle. And lean muscle is what gives your body that ideal athletic shape to make you strong, lean and agile. Swimming need not be done solo. Instead the whole family can get involved for hours upon hours of healthy activity. Get the kids off the couch and together make a splash! If sometimes you feel that your busy lifestyle is stopping you from spending quality time with the kids, then tick off two tasks and lap it up with your family in the backyard pool. As we age our metabolism slows down. A slower metabolism will cause us to gain unwanted weight and for our body to change shape. But weight gain need not have to be a part of the aging process. Rest assured, there are a few sure fire ways you can rev up your inner-engine. You can try adding chili and cinnamon to your food, or lifting weights at the gym to name just a few. But, if you rather sweet over spicy and don’t want to fork out the cash for a gym membership then look no further than your backyard pool! Jump, dive or duck dive into your backyard blue lagoon and lap it up as you speed up your metabolic rate. Combat Australia’s ever-growing waistline by swimming for weight loss in your very own backyard pool. When you exercise by accident, you are actually doing what is called ‘incidental activity’. This is when you exercise without even realising. And although it might only seem like a few steps here and there, incidental activity adds up over an entire day. Our bodies are made to move, and moving is what keeps us healthy. No matter whether you are throwing a Frisbee with the kids, wading in the shallows or simply frolicking about in your backyard, time spent in and around the pool requires you to be active, to move your body and will keep you fit and healthy. When we say ‘muscle’ we by no means want you to build yourself some bulging biceps. Instead, we mean lean muscle mass for health, vitality and longevity. Both women and men can build lean muscle with resistance training activities such as swimming. For women, having adequate amounts of muscle mass makes for a fully functioning, healthy and strong body while warding off degenerative diseases such as osteoporosis. For men, muscle mass bolsters testosterone levels and maintains a strong physicality into older age. Poolside attire exposes the very best and worst bits of our body as your bikini or swimming trunks yield little forgiveness. But have you noticed how people who live close to the beach tend to look healthier and lead a more active lifestyle? Of course, being in such close proximity to an inviting poolside or picturesque sandscape would encourage you to get outside and get moving. But let’s face, it if you see it, you want it. And if you got it, you flaunt it. Spending time poolside decked out in bathing attire is the ultimate motivation to get in shape. Did you know that stress can cause you to gain weight? Specifically, stress induces the production of cortisol in our bodies which encourages the storage of fat on our belly! To combat stress, you need to relax. And what better way to do so than in your very own backyard pool. Floating on your back will calm racing thoughts. The weightlessness of water soothes sore muscles and cramped joints. Discover your inner Zen as you relax and unwind for optimum weight loss in your backyard pool. So there you have it, 8 sure-fire ways swimming in your backyard pool can help you lose weight. Get outside with your friends and family, lap it up and discover how great it feels to be healthy!